Nanoclean Nasofilters- Air Filter that fits in Your Nostrils! 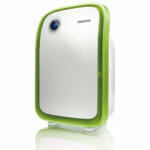 An innovative way to breathe clean air, the Nanoclean Nasofilters is a cheap and easy way forward. A collective effort from the alumni of IIT Delhi, Nasofilters are very simple in design. 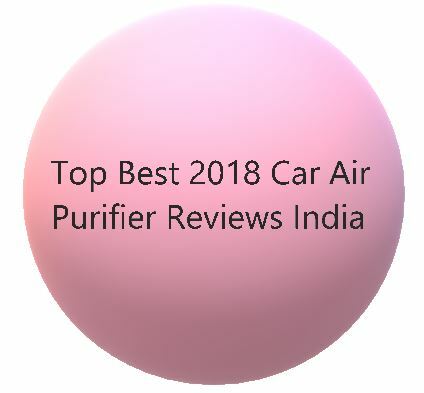 In as low as INR 11, you get protection from particulate pollutants, what can be more satisfying! Does the lady below seem to be wearing an air mask? Look closely…. No? Yes she is wearing a set of Nasofilters! 1 Nanoclean Nasofilters- What Is It All About? 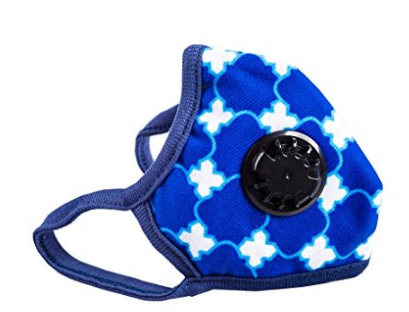 1.1 Do Nasofilters protect from PM2.5? 1.2 Doesn’t Nasofilters Look Odd on the Face? 1.3 How Long Do Nasofilters Last? 4.1 Does It Not Cause Breathing Resistance? 5 Buy NasoFilters From Amazon! Nanoclean Nasofilters- What Is It All About? 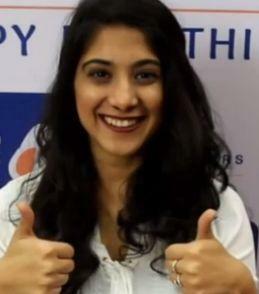 It all started when a team of IIT Delhi students in collaboration with their faculty members, developed Nasofilters. An innovative product which fetched it the Start-Ups National Award in 2017. All it consists of is a nano-fiber medium with its proprietary polymer technology. 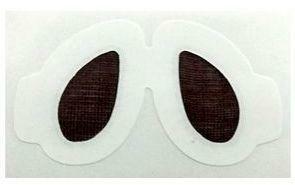 Available in sets of single, two or five packets with 10 nasofilters in each pack. 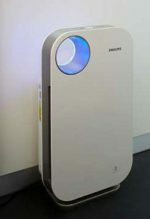 Do Nasofilters protect from PM2.5? 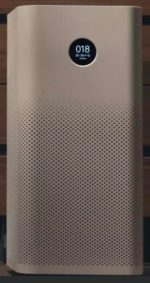 The obvious question which must be answered here is whether Nasofilter protect you from PM 2.5 particles. The answer is Yes. The air filter media which is a polymer based material filters the finest of particles. These nasal filters are capable of removing over 96% of PM2.5 and almost 100% PM10 particles. Doesn’t Nasofilters Look Odd on the Face? Well, from a distance its hardly noticeable. In face to face conversations, its obviously visible. You can proudly inform beforehand that its nasofilters and satisfy the curious stares. As compared to Face masks, which look odd and cover the entire mouth, Nasofilters are definitely less obtrusive. Its totally invisible from a distance of 5 feet. How Long Do Nasofilters Last? 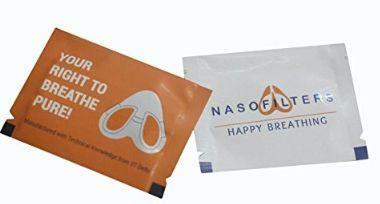 A set of nasofilters can very well last a 12 hours use upto a maximum of 24 hours. Do not try to reuse thinking to maximize the cost effectiveness. Compared to Face Masks, Nasofilters are already so cheap that you must not try to be an ultra miser! 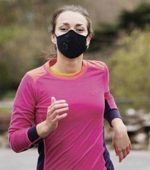 Face Masks cover the entire mouth which is unnecessary since you do most of your breathing from the nostrils, unless you are down with a stuffy nose ofcourse. 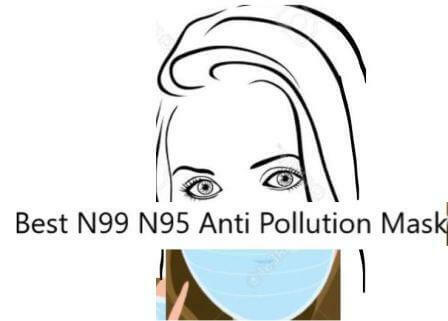 It can be extremely convenient if bikers wear nasofilters to evade pollution. Everyday bikers and cyclists face the worst brunt of metropolitan pollution. Nasofilters do not cover the face unlike Face Masks. Portable and Ease of Use is unparalleled. Can fit in the smallest of pockets. Less air resistance throughout use. Nasofilters is worn/stuck directly over the nasal openings. This eliminates common problems encountered with face masks like air leakage from the sides. Unlike Face Masks, Nanoclean nasal filters do not cause fogging of spectacles, breathing stale breath and warming of cheeks. No problem in speaking or eating activities as it is worn only on the nose. Does It Not Cause Breathing Resistance? Yes, it may cause breathing resistance. However, whether ones feels a resistance or not is purely subjective. Not all who would try and use Nasofilters will be 100% satisfied with it and neither would all be dissatisfied. 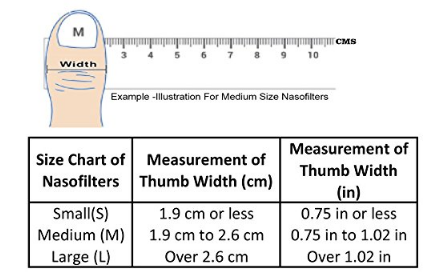 Choose a proper size using your thumb. Nasofilters are available in S, M and L sizes. Depending on the shape and size of your nostrils, choose the correct size wisely.